Blendre EP Available To The World! 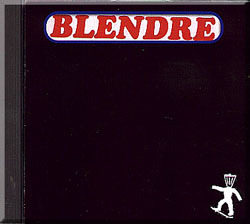 For the first time ever, Blendre's music is now available to the world via the internet. This self titled EP is the first recording of Blendre music anywhere! It includes such songs as Let Go My Ego, Glass People, I Can't Let Go, Off The Ground, and Moments Of Clarity.